“To fail to plan is to plan to fail,” said Benjamin Franklin. This is especially true when it comes to your diet. When you wake up in the morning you may have the best intentions to eat healthy, but what happens if you have no plan? You may find yourself laying in bed that night thinking “I didn’t eat well today, but I’ll start my diet tomorrow”. Why not plan for success and take a few minutes to create a menu for the week? One of the most common diet pitfalls is to eat too much at night. 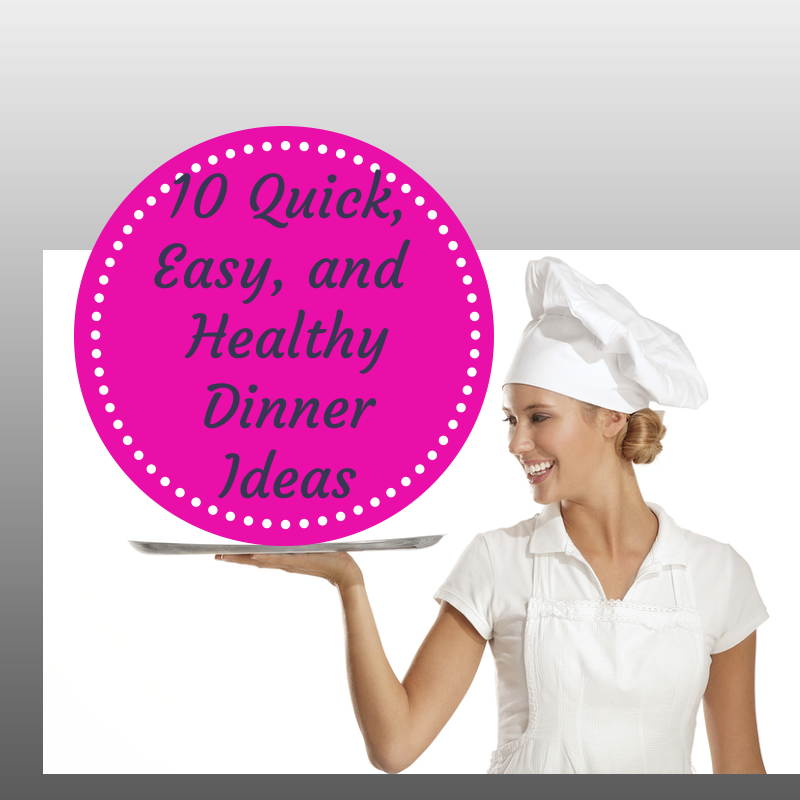 So, let’s talk about 10 quick, easy and healthy dinner ideas that will make your planning that much easier. As you know, I not advise counting calories but I listed it as a point of reference. 1. Weight Watchers Orange Chinese Chicken: A favorite of many healthy eaters, the entree is packed with flavor, not calories. Try serving it over brown rice or quinoa. 2. Cool Southwestern Salad with Corn and Avocado: This recipe is great for summer, but can be enjoyed during any season. Leaving out the tortilla chips reduces the calorie content as well as the amount of unhealthy fat. Plenty of healthy fats are found in the avocado and the olive oil. The cilantro it contains is a great detoxifier. 3. Sante Fe Chicken Soup: This is not your average chicken soup! It takes a little bit more time to prepare than the other recipes, but it’s well worth it. You can save time by adding the rice to the pot and letting everything cook together, instead of cooking it separately. Save a few more minutes by buying pre-grilled chicken. You won’t get as much flavor, but if you’re in a time crunch, it will work. We also recommend full-fat chicken broth, which has more nutrients. If you have saved some stock from a previously made chicken, that’s even better. 4. Citrus Baked Salmon: We’ll start off with the first of our three fish recipes with this tasty and citrus-filled salmon. Preheat oven to 375 degrees. Arrange the lemon and orange slices in a shallow baking dish so that each fillet lays over one orange slice and one lemon slice. Season each salmon fillet with salt and pepper to taste. In a small dish mix the dill, sun-dried tomatoes, and oil. Divide the mixture on top of the salmon fillets. Drizzle the white wine over the top. Bake for 8-10 minutes. 5. White Fish, Rice and Veggies: If you find yourself not knowing what to make, this recipe may likely become your go-to dish. Start with about a pound of white fish, such as cod, hake, or haddock. Lay in a shallow baking dish. Squeeze the juice of 1 lemon over the fish. Season with marjoram, dill, sea salt, pepper, and garlic. Cut up about 4 tablespoons of butter and distribute evenly over the fish. Bake for around 15 min on 375, or until flaky. Prepare the rice according to the package, except add 1 tablespoon of coconut oil to the water. This adds a healthy fat that may even help with weight loss. Pan fry or steam a vegetable of your choice. I like to cut up carrots, steam them, and just season them with salt and pepper. 6. Blackened Salmon: This simple, affordable recipe, when done correctly, will have high-end restaurant taste. Choose 1 pound of salmon. A ‘captain’s cut’ is preferable. This is the cut in the middle of the fish where it is the most even in thickness. Gently remove the skin with a filet knife. Rub one side of the fish with 2 tablespoons of olive oil. Rub salt and pepper liberally on the side with the olive oil. Preheat the oven 475 degrees. Next, place a cast iron pan on the stove on medium-high heat. Wait until the pan is just starting to smoke, then place the salmon, oil side down on the pan. Set the timer for five minutes. Leave the salmon alone; don’t turn it or take it off the heat until the timer goes off. After the five minutes, place the whole pan, with the salmon in it, in the oven. Leave in for 3-5 minutes, or until flaky. Keep an eye on the smoke. Salmon is a very oily fish, and after adding olive oil, it can flash up quickly. Prepare brown rice or jasmine rice as directed above in the white fish recipe. Serve together with a vegetable of your choice such as carrots, spinach, or kale. 7. Warm Mediterranean Chicken Salad: This tasty dish contains a generous amount of vegetables and protein. Dice vegetables and chicken into 1/4 inch pieces. Saute chicken in a medium-hot pan for 3-4 minutes. Add vegetables, garlic, and thyme. Continue cooking until vegetables are tender. Season with salt and pepper. Toss chicken mixture with lettuce and sun-dried tomatoes. Add a splash of olive oil and lemon juice and serve. 8. Spicy Shrimp with Peas and Curried Rice: You can replace the white rice in this recipe with brown rice to get your whole grains. You may find that dividing the entree into five or even six portions will still keep you feeling full. Calories: 498 when served as suggested. 9. Steak with Mushroom Sauce and Cauliflower Puree: You don’t have to be afraid of cauliflower anymore. This pureed version may finally be the thing to get you to love your veggies. 10. Moroccan Steak: This delicious recipe includes plenty of healthy spices that are great for digestion and inflammation. For the spice, mix all the ingredients together in a coffee grinder or food processor until well blended. Then, toast in a dry, hot skillet until it becomes very aromatic. Preheat the oven to 375 degrees. Cut the sweet potatoes into 1/8 inch slices and toss with the rosemary, garlic, and a small amount of olive oil. Roast for about 15 min.. Coat the beef fillets with the spice mixture and sear in a hot,oiled pan for 8-15 minutes, depending on how you enjoy your steak cooked. Serve with steamed broccoli and sweet potatoes. Now you have most of the planning already done for you! Don’t wait for tomorrow to start eating healthy. Start planning now. 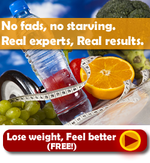 If you’d like some additional and more personalized help, please contact us today for your free nutritional consultation!